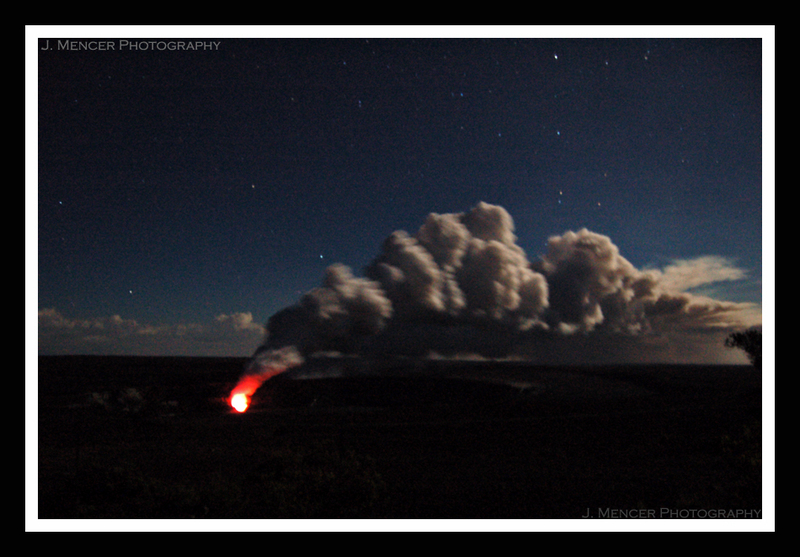 Kilauea painted quite a lovely picture last night, and even though I haven’t looked at my `Ainapo Trail pics I thought that you might enjoy these. They were taken slightly before midnight last night. 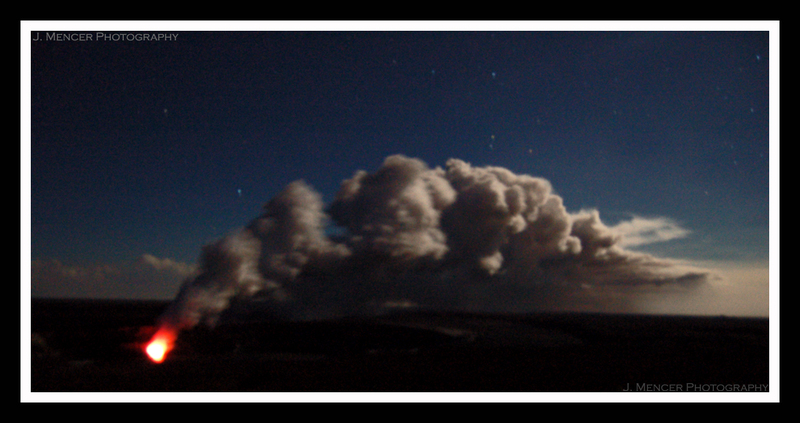 The moon was nearly full and the stars were out en masse. I want to say thank you to everyone who has visited and/or commented. The incredibly positive response this site has garnered from family, friends, colleagues, and complete strangers is my motivation to continue publicly documenting my ongoing adventures in volcanology. I can’t believe it hasn’t even been three weeks yet! `Ainapo Trail pics and story will appear tomorrow, I promise. Oh, I should also mention that Okmok volcano in Alaska erupted today. The Alaska Volcano Observatory site has some interesting information about the eruption. One of their scientists has been here at HVO for a few weeks, and he was supposed to be on seismic watch at AVO today. The poor guy missed out! I’m crossing my fingers that we’ll have some explosive activity while I’m over here. It’s every volcanologist’s dream.